Holiday 2018 spending could reach $1 trillion, according to PWC research. While retailers and financial providers look at the number and see dollar signs, unfortunately so do fraudsters. 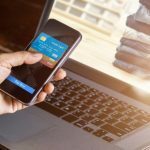 Last year, online fraud attempts increased by 22 percent and we can expect that percentage to be similar or larger this year. Protecting members against fraud is a top concern for credit unions. Even with the best fraud mitigation tools and strategies in place, avoiding fraud losses requires vigilance by credit union employees and their members. The best way to boost fraud awareness is to stay ahead of the latest security threats, actively communicate them to employees and members, and ensure your cybersecurity systems are properly in place. This week we share five holiday-related fraud stories and strategies you can use to prevent fraud now and all year round. As always, don’t hesitate to reach out to us for advice and solutions to help you in the fight against fraud. Step one to combating fraud is knowing when and where it’s happening. 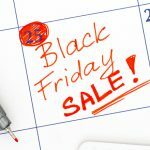 Research suggests that fraud typically peaks on Thanksgiving Day, rather than Black Friday or Cyber Monday, when consumers are home and more likely to make early shopping purchases. Fraudsters focus specifically on call centers and “buy online, pick up in-store” channels. Credit unions can only do so much to prevent fraud on behalf of their members. Retailers can and should perform a number of checks and precautions to ensure their customers aren’t exposed to security issues: encrypting customer data, finding and fixing vulnerabilities and reviewing cloud security policies are just a few. Of course it never hurts for credit unions to prepare for the worst by anticipating the retailers most likely to be targeted by fraudsters or break security protocol and dedicate extra resources towards monitoring them. Our latest 2018 Debit Benchmark Study revealed that card not present (CNP) fraud is the fastest growing fraud trend among debit cards. This includes fraud executed over the internet, phone, mail or other remote location. As more shopping moves online, this will become an increasingly big problem for credit unions, retailers and consumers. Educating members on how to prevent CNP fraud is important, as is having advanced tools and analytics to spot potential fraud attempts. HSBC’s 1.4 million U.S. customers were potentially exposed to a “credential stuffing” breach recently, whereby personal information and account numbers stolen from another data breach were used to infiltrate HSBC accounts. Credential stuffing is becoming quietly more popular with fraudsters considering many consumers use the same passwords and login info for multiple accounts. Still, two-factor authentication should have prevented it, if the bank had properly implemented it. Wire transfer fraud is one of the fastest growing global cybercrimes. CO-OP’s Industry Fraud Specialist John Buzzard explains: “Credit unions experience periodic issues with consumers taken in by wire-fraud scammers. Romance, relative-in-jail and IRS scams are big criminal business these days, and many of them rely on wire transfers to steal from their victims.” Having a layered approach that includes real-time fraud analytics and old-school member education is the key to preventing wire fraud. Preventing fraud during the holidays requires around-the-clock vigilance and the right tools. Learn more about CO-OP’s advanced fraud mitigation solutions including card controls, fraud alerts, and our forthcoming COOPER Fraud Analyzer tool. And join us for the next edition of FraudBuzz, our monthly webinar series providing the latest information on cybersecurity and fraud trends and how credit unions are responding. 5 Must-Reads This Week: Black Friday, Baby! ← 4 Must-Reads: What Does Member Loyalty Look Like in the Digital Age?